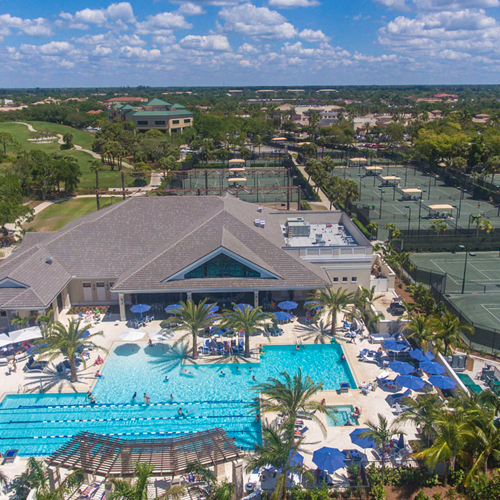 Bonita Bay Club – our renowned and award-winning private golf and sports club – defines Southwest Florida’s active lifestyle with unrivaled sports, social and leisure amenities. We’re situated in the very heart of Bonita Bay, a community of natural beauty in Bonita Springs. Between Fort Myers and Naples and conveniently close to everything, Bonita Bay offers miles of walking and biking paths and a marina with easy access to the Gulf of Mexico and its white sand beaches. Bonita Bay Club members enjoy a warm, welcoming spirit, a caring, professional staff committed to helping you make the most of each day, and a sense of fulfillment while surrounded by friends and family. Bonita Bay Club. It’s where you belong. Bonita Bay Club’s excellence has been recognized with exclusive designations including the “Distinguished Club” and “Platinum Club.” We’ve earned the prestigious “Grand Aurora Award” from the Southeast Building Conference for the best recreational facility, and Golfweek magazine cited our clubhouse as one of the finest in Florida. Everything is right here, every day. There’s no better place to be than Bonita Bay Club. It’s where you belong.